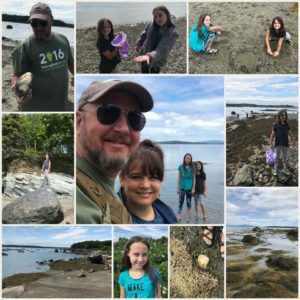 A lovely 60-something degree day with no agenda was spent beach-combing & exploring around Deer Isle & Brooklin, Maine. The girls found lots (& lots & lots) of snails around the water, & a couple of crabs. We love these off-the-beaten-path kinda days.